Katherine Eisold Miller, our President, is a Collaborative Lawyer and mediator with a practice located in Westchester County NY and New York City. Katherine is immediate past president of the New York Association of Collaborative Professionals. Katherine is author of the New Yorker’s Guide to Collaborative Divorce (2015) and co-Author of the #1 Amazon bestseller A Cup of Coffee with 10 of the Top Divorce Attorneys in the United States (2014). 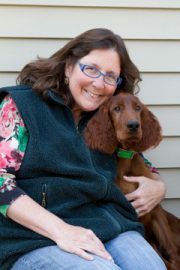 Catherine Conner, our Secretary and Treasurer, is a mediator and collaborative attorney. 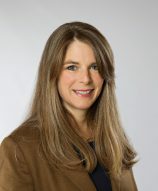 Her practice focuses on family law alternate dispute resolution, including mediation, collaborative practice and private judging. She co-authoredCollaborative Family Law Practice Materials. She was on the International Academy of Collaborative Professionals board of directors from 2008 through 2014 and was the President in 2013. Randy Cheek, is a licensed Marriage and Family Therapist who has been in private practice in Petaluma since 1983. His specialties have included family systems therapy, couples therapy and divorce related counseling. Additionally Randy specializes in co-parenting counseling, reunification counseling and mediation regarding children’s issues in divorce. Since 2001, he has been active in the Collaborative Process in Sonoma County. He is a past president of the Board of Directors of the Collaborative Council of the Redwood Empire (CCRE) and a member of the Board of Directors of CPCal, and Randy is a past president of CPCal. 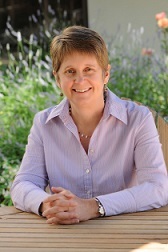 Emily Doskow has been practicing family law in the Bay Area since 1989. She specializes in family matters including adoptions, surrogacy agreements, domestic partnership and prenuptial agreements, parentage issues, and mediated and collaborative divorce. She is a frequent speaker on LGBTI family issues. She is the author or co-author of numerous books published by Nolo, including Nolo’s Essential Guide to Divorce; Nolo’s Essential Guide to Child Custody & Support, and The Legal Guide for Lesbian & Gay Couples. Emily is a member of the Boards of Directors of Inter/ACT and the Women Lawyers of Alameda County, and a past member and co-chair of the Board of Directors of the National Center for Lesbian Rights, where she currently sits on the National Family Law Advisory Council. 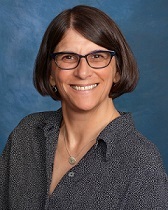 Ms. Doskow has been practicing mindfulness meditation for over 18 years and has taught mindfulness to attorneys at JFK University Law School, the Alameda County Bar Association, and Spirit Rock Meditation Center.